Several "Jersey Shore" stars reunited over the weekend to celebrate Sammi "Sweetheart" Giancola's birthday. Nicole "Snooki" Polizzi, Jenni "JWoww" Farley, Vinny Guadagnino and Denna Cortese rang in their former co-star's 30th birthday Saturday in New York. 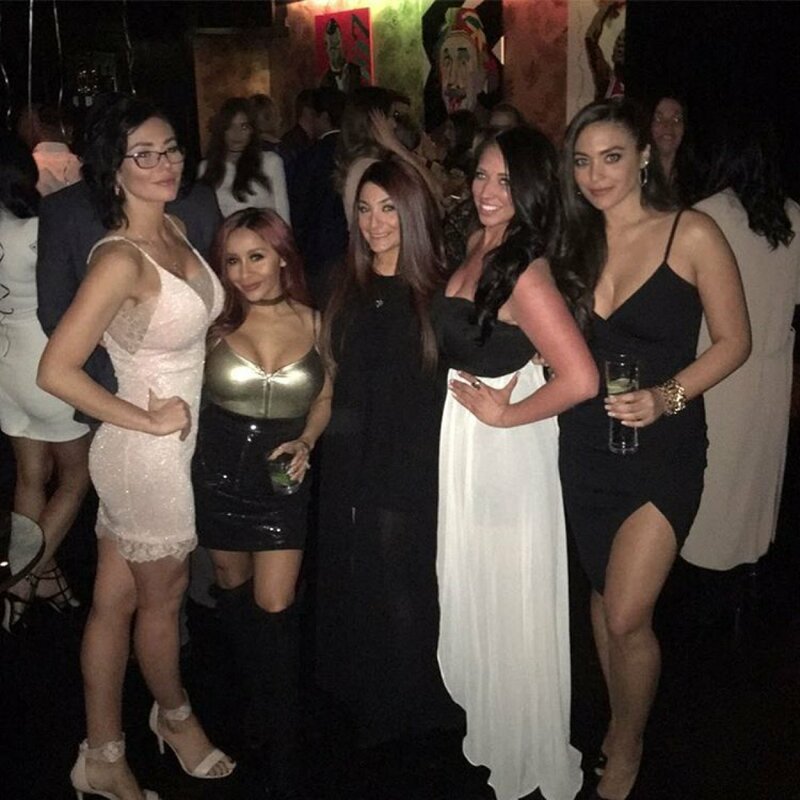 "Such an amazing night celebrating Sams 30th love all these ladies so much @sammisweetheart @mallorykristenp @jwoww @snooki," Cortese captioned a photo on Instagram of herself with JWoww, Snooki, Sammi and another friend. "Reunion with our favorite person from Mtv .. he's our best thing! We love you Fabs @jwoww #snooki @sammisweetheart @MichaelFab," she added to a picture with PR rep Michael Fabiani. The "Jersey Shore" stars celebrated with Sammi at Beautique restaurant in Manhattan. JWoww's husband, Roger Mathews, and Deena's fiance, Christopher Buckner, were also in attendance. "Thank you so much to @beautiquedining for hosting my 30th Birthday party this weekend! Everything was perfect & food was delicious! I can't wait to come back and celebrate again!" Sammi wrote Monday. "Jersey Shore," which also starred Mike "The Situation" Sorrentino, Paul "Pauly D" DelVecchio and Ronnie Ortiz-Magro, had a six-season run on MTV from 2009 to 2012. Several of the stars previously reunited at JWoww's wedding in 2015. "I'm not in touch with everybody," Vinny told E! News in April. "Some people were closer than others. I went to Jenni's wedding and I saw everybody over there ... [I still see Pauly, Ronnie and Sammi] all the time." Criss Angel on failed stunt: "The risks that are at stake are no joke"